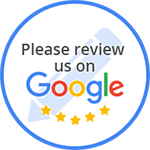 Customer Reviews for Tom's Auto Body, Inc.
“My wife had accident and I took my car Mr. Tom. They did an excellent job!!!! I have a new car again!! “Great service and they do a great job on your cars. I would recommend this shop, they will take care of your insurance claim. Fast and easy service!